1933 The British Goodrich Rubber Co, a wholly owned subsidiary of the B.F. Goodrich Company, Akron, Ohio, acquired a controlling interest in India Rubber, Gutta Percha and Telegraph Works Co.
1960 Thermoplastics and rubber manufacturers. 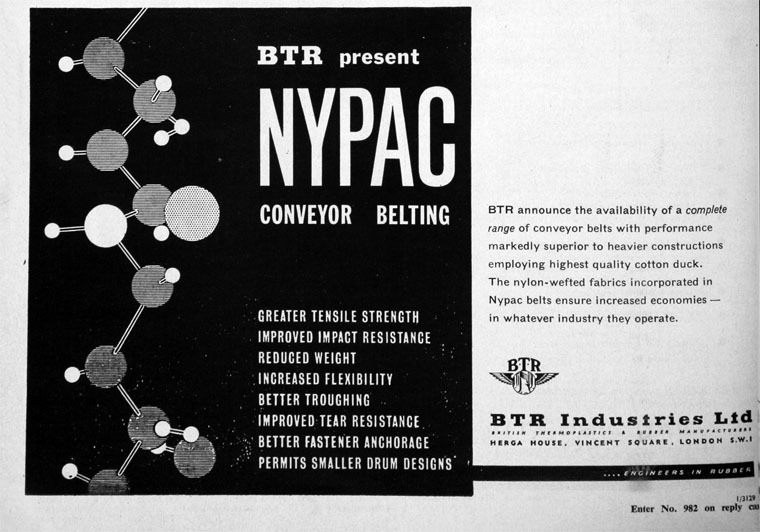 1961 Principal products of the group include: underground and surface conveyor belting, V-belts and transmission belting, anti-abrasion plant and pipe linings and coverings, plastic pipes and fittings, rubber-lined bearings, industrial and fire-fighting hose of all descriptions, aircraft flexible pipes, aircraft filters, industrial rubber footwear, sports and casual shoes. 1962 Acquired J. E. Baxter and Co of Leyland. 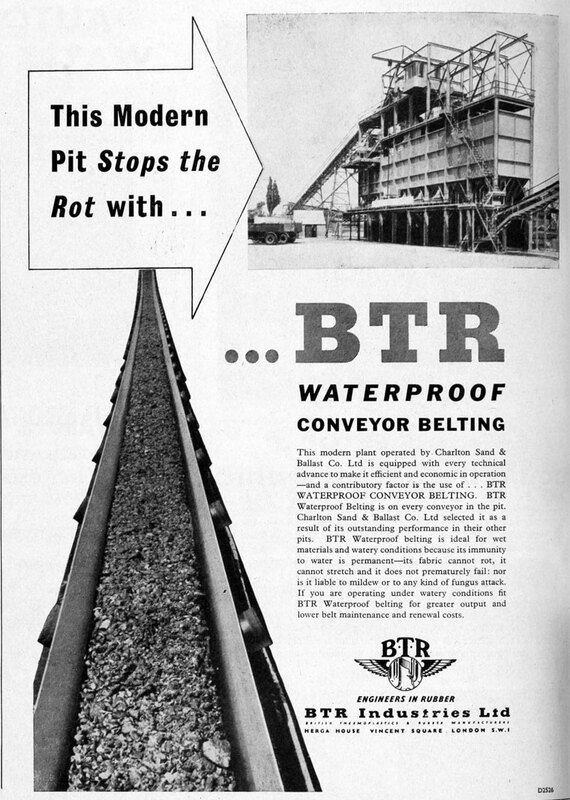 During the 1960s BTR underwent reorganisation. 1969 Merged with another Leyland company, Leyland and Birmingham Rubber Co took place. 1975 Permali, makers of Permali insulation, was acquired by BTR; it then operated as BTR Permali. 1978 Acquired Worcester Controls - and Norbro Engineering. By 1982 BTR had acquired a large number of companies in the United Kingdom, the USA, Canada, Australia, South Africa and Germany. 1985 BTR acquired Dunlop Aviation Division from Dunlop Rubber Co to form BTR Aerospace Group. 1985 BTR acquired Dunlop Polymer Engineering - name changed to Metalastik Vibration Control Systems. 1992 Acquired Hawker Siddeley Group Plc; various parts were put into the BTR Electrical Power Group. 1994 Floated Graham Group, builders merchants and planned to sell the rest of Hawker Siddeley Canada. 1999 BTR merged with Siebe, becoming BTR Siebe. The name was later changed to Invensys. This page was last edited on 15 February 2019, at 11:44.